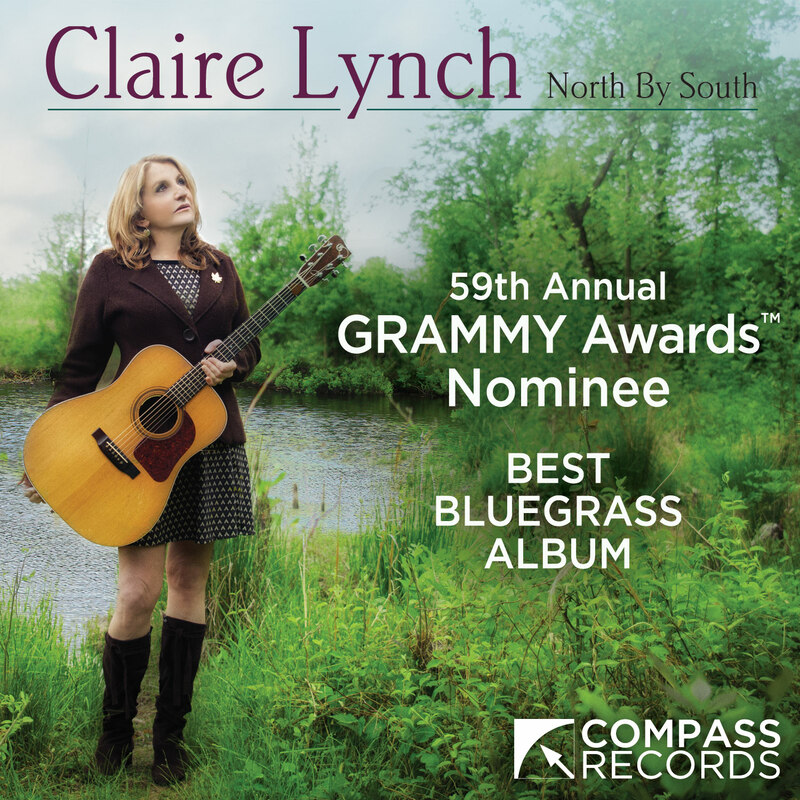 December 6th, 2016 – Nashville, TN –– Compass Records recording artist Claire Lynch received a GRAMMY nomination in the category of Best Bluegrass Album of the Year for her release NORTH BY SOUTH for the 59th Annual GRAMMY awards. This is Claire’s 3rd Grammy nomination and adds to a long list of career accolades that include multiple wins for International Bluegrass Music Association’s Female Vocalist of the Year as well as the prestigious USA Artists Fellowship in music. Long considered a singer’s singer, Claire Lynch’s resume boasts collaborations with Dolly Parton, Emmylou Harris, and Linda Rondstadt who described her as a “rare talent” with the voice “of an angel”. NORTH BY SOUTH is the product of a love for Canadian songs and of the love that developed between Claire and her Canadian fan (whom she married in 2014). The songs Claire selected for the project are an exquisite sampling of the rich tradition of Canadian songwriting and, as Lynch remarks, “it’s a collection that only touches the tip of the iceberg”. The album includes stand out versions of Ron Sexsmith’s “Cold Hearted Wind” with Jerry Douglas on Dobro, the catchy “Kingdom Come” written by Old Man Luedecke featuring Bela Fleck (banjo) and Stuart Duncan (fiddle) and the gorgeous maritime ballad “Molly May” written by Cape Breton’s J.P. Cormier. Lynch also delivers thoughtful reinterpretations of songs by Lynn Miles (“Black Flowers”), Dave Francey (“Empty Train”), Gordon Lightfoot (“It’s Worth Believing”) and Bruce Cockburn (“All the Diamonds in the World”).